PPG series pressure co-current spray dryer is a device can complete drying and granulation. According to process requirements, it can adjust the material pump pressure, flow, the size of the nozzle to get the required certain size ratio of spherical particles. The working process is high-pressure liquid feeding through the diaphragm pump, spray mist droplets, and then co-current with the hot air down, most of the powder are collected from the bottom of the discharge port, exhaust and tiny powder separated by cyclone, The exhaust gas is released from the exhaust blower, the powder is collected from the cyclone separator at the bottom, fan outlet port can also be equipped with secondary dust removal device, the recovery rate can reach 96-98%. High drying speed, liquid surface is increased by the atomization, in the hot air flow, instantaneous evaporation of 95% -98% of the water, Only 10 seconds to tens of seconds to complete the drying, especially suitable for heat sensitive materials. All products are spherical particles, uniform size, good fluidity, good solubility, high purity, good quality. 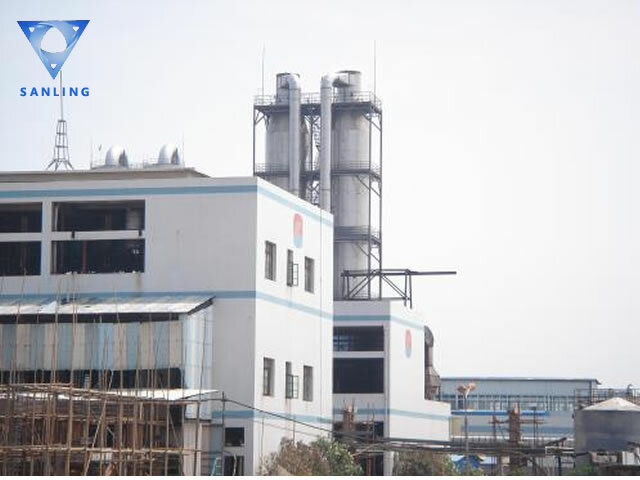 Widely application, according to the characteristics of materials, it can be used in hot air drying, also cold granulation, High material adaptability. Simple and stable operation, easy control and easily automatic operation.